The Philadelphia Eagles won the Super Bowl in the 2017 season, but they also used it to model faith in football. Everyone knows the story by now: Their quarterbacks, Carson Wentz and Nick Foles, exemplified humility on the road to gridiron glory, exercising charity on and off the field. Their coach, Doug Pederson, began his post-Super Bowl speech by redirecting praise to God. Their team, as diverse and socially conscious as can be, gave a lot of credit for its resilient title run to a unified bond through Jesus Christ. Along the way, the Eagles helped one man do the same. 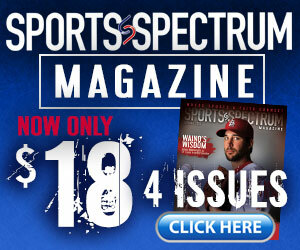 Joshua Cooley is a children’s minister, sports writer and author. Formerly of Sports Spectrum, he co-authored Foles’ “Believe It” memoir, which released in June. And now he’s released his own book, “The Biggest Win,” in preparation for the 2018 season, complete with a foreword by Foles, Wentz and four other Eagles players. 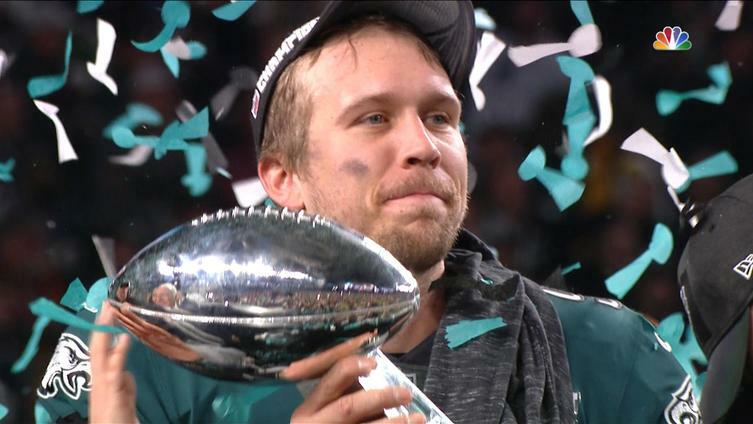 Like “Believe It,” which Cooley pitched to Foles the day of Philadelphia’s championship parade and helped complete in all of six weeks starting in early March, “The Biggest Win” is partly a tribute to the inspiration of the 2017 Eagles and the faith that carried them to the promised land. Unlike “Believe It,” though, it’s also a personal devotional — a testament to Cooley’s mission of sharing Christ through his own words. 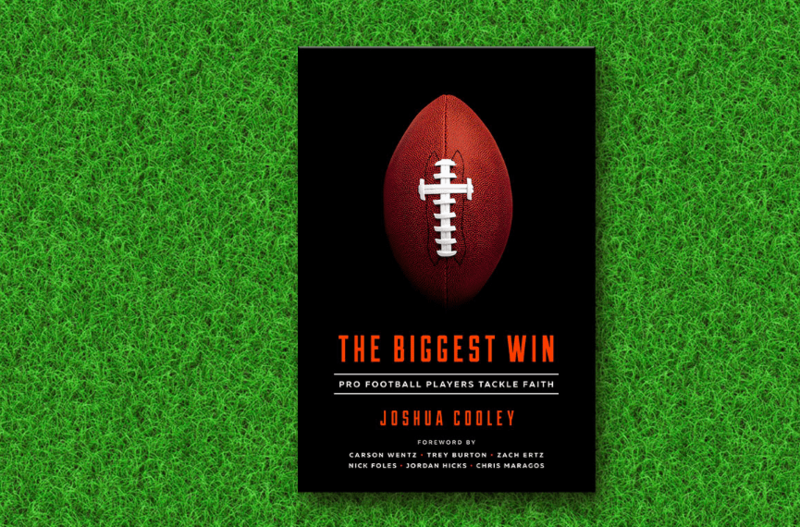 Cooley had his hands full helping Foles craft a memoir and then finishing “The Biggest Win,” now available through New Growth Press, all in the matter of a few months. As a lifelong Washington Redskins fan, he also admits that he’d “never written this much about an NFC East rival ever” before. But the unashamed faith put on display by the Eagles was enough to warrant his interest. And so developed “The Biggest Win.” Part sports story. Part Bible study. Part testimony. Whether it’s used as a devotional guide for school sports teams or reads like another deep dive into the Eagles’ historic season, Cooley thinks “The Biggest Win” can resonate with everyone — even those who aren’t Christian. The Biggest Win combines biblical truths with practical direction on issues that every Christian faces — including dealing with adversity, competition, change, success, failure, and how to thrive by faith in a pressurized world. Encouraging male and female athletes in any sport, The Biggest Win guides them in finding their ultimate identity in Christ, not their athletic achievements, and assures them that their greatest prize is eternal life.